Home / Blog/ 5 Insanely Beautiful Shadow Root Recipes That You Can Do Today! 5 Insanely Beautiful Shadow Root Recipes That You Can Do Today! We have created 5 shadow root looks for you, with techniques and recipes! Create these looks in your salon today! Our model came in with a very large regrowth area and light ends. We applied 5.11 with 20 Vol on the first 4 inches of the root area. We blended that into 6N with 20 Vol on the rest of the regrowth. Remember to interweave when sectioning in order to achieve a seamless transition. 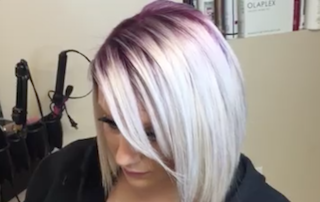 We applied 100.21 Intense Pearl Blonde with 20 Vol on to the ends. Processing time was around 30 minutes for the dark colors, around 15 minutes on the already pre-lightened ends. Finally, Brilliant Blonde Purple Shampoo was applied, rubbed in for 5 minutes to equalize the whole hair and rinsed. Our model had naturally very dark hair (level 3). 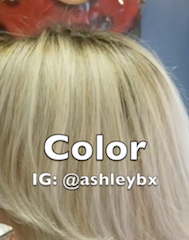 We wanted to give her a look which would show a dark color blending into something much much lighter. 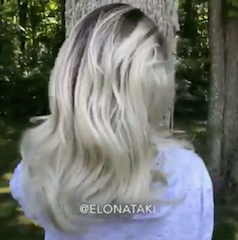 We applied Brilliant Blonde lightener and 40 Vol to lift her roots to pale yellow. We applied a mix of 5.11 and 6N with 20 Vol to her roots. We applied a mix of 100.20, 100.21 and Clear to the ends. Once again, we took care to blend the two color areas to avoid an obvious line of demarcation. This look went viral on the internet. It is a stunning look which at the same time is surprisingly quite easy to wear - hence its popularity. Brilliant Blonde with 30 Vol to lift the hair all the way up to a very pale yellow. Violet mixed with 100.20 (2 parts 100.20, 1 part Violet) on the roots - 20 Vol Developer. 100.20 with 20 Vol on the ends. Taper between the 2 areas. 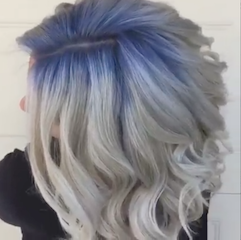 Apply Blue with 20 Vol on the roots. Apply Silver Grey and 100.20 on the ends. 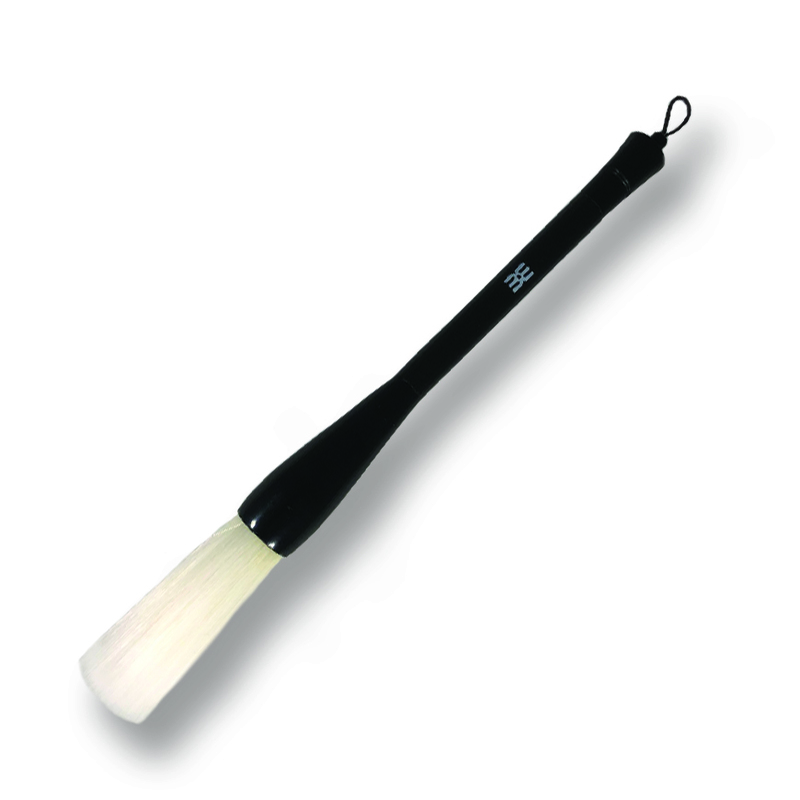 Use the Ugly Duckling Shadow Root Brush to achieve all the looks above!